Please also visit the VEC Archives website for more detail. The links between England and Rome go back to 597 when Pope Gregory the Great sent St Augustine to convert the English. In the centuries that followed English pilgrims travelled to Rome in ever greater numbers, staying in hostels known as Hospices. 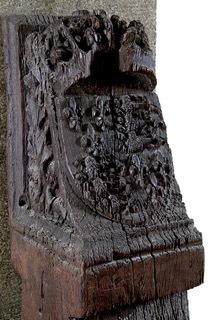 In 1362 a Guild of English residents bought a house owned by John and Alice Shepherd, rosary bead sellers, in via di Monserrato and turned it into a pilgrim Hospice dedicated to the Trinity and St Thomas of Canterbury. Up to 100 pilgrims could lodge there, usually for 3-8 days, or if they fell ill until they recovered or succumbed to illness. As it expanded the Hospice took on a diplomatic role and by Henry VII’s time it was known as the King’s Hospice. 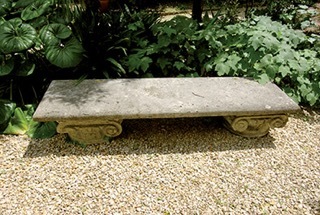 Two wooden corbels that once supported the Hospice church are now on display on the Cardinals’ Corridor while a beautiful original Gothic window and other stone relics can be found in the College garden. By the time of the Reformation the Hospice was badly run and in decline. Church authorities decided to turn it into a seminary. 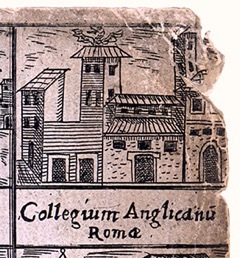 The first six students came from Douai in 1577 and attended lectures at the Jesuit-run Collegio Romano, precursor of the Gregorian University. 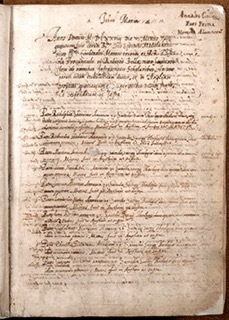 The following year all the students signed the Missionary Oath in the Liber Ruber, the historic book which to this day records the names and details of every student in the College. The first to sign was St Ralph Sherwin, who swore to return to England “hodie quam cras” (today rather than tomorrow). Pope Gregory XIII issued the bull of foundation of the English College on 1 May 1579, celebrated as Founders’ day. But the new College got off to a shaky start with acerbic disputes between students and the College authorities which were in time resolved. After ordination students returned to England where they led a secretive existence, in constant danger of betrayal, arrest and execution. Over the next 100 years 44 former students were martyred, most by being hung, drawn and quartered, the brutal execution method of the day and St Ralph Sherwin was racked to extract information about his comrades. The date of his execution at Tyburn, 1 December 1581, is celebrated by the College and all its alumni as Martyrs’ Day. 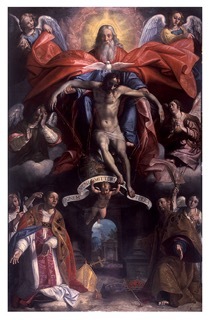 Hanging above the altar in the College church is the Martyrs’ Picture, painted in 1583 by Durante Alberti. When news of a student’s martyrdom reached the College the students would gather under this picture to sing the Te Deum. That tradition continues on 1 December every year. When the persecution ended the College was able to expand and develop until the arrival of Napoleon’s troops in 1798 who commandeered and ransacked the entire building, forcing the students to return to England. 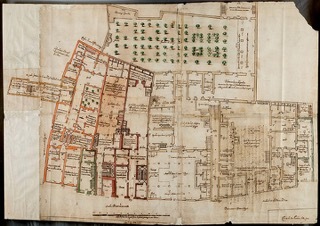 The College remained closed until 1818. 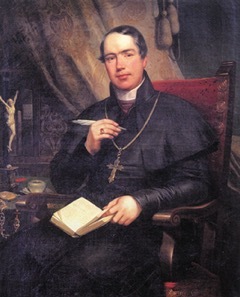 Ten years later under the able leadership of Nicholas Wiseman it was flourishing once more; he later became the first Cardinal Archbishop of Westminster. 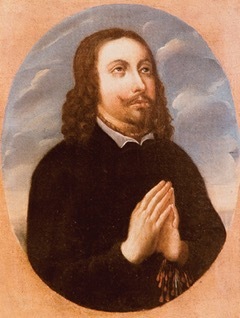 Thomas Grant succeeded him and his tenure as Rector saw the rebuilding of the Church as well as the creation of the Collegio Pio, later the Beda College set up for late vocations. 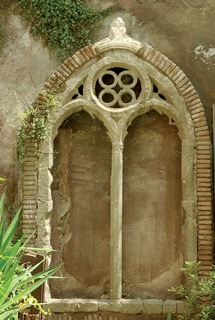 Every year the College would escape the heat of a Roman summer to a villa in the Castelli. 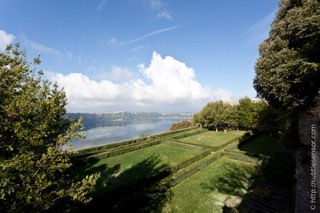 In 1920 Mgr Arthur Hinsley sold the College’s much loved but cramped villa at Monte Porzio and bought a former Franciscan convent, Palazzola, overlooking Lake Albano. Today this villa, in its idyllic location, has been beautifully restored and is used and enjoyed all year round by students, pilgrims, holidaymakers and wedding parties. When Italy entered World War II on the side of the Axis the College had no alternative but to leave Rome. In May 1940 students were fitted out with civilian clothes and made their way by train up through Italy to Le Havre, ahead of the Nazi invasion of France. Ten days later a major evacuation began up the coast at Dunkirk. The community first assembled at Ambleside before settling at St Mary’s Hall, Stonyhurst. Meanwhile in Rome the Knights of Malta used the College as a hospital thus ensuring its protection. The Community returned to Rome in 1946. Vatican II brought many changes to the Church and to the College, with new liturgical practices and a different approach to formation. 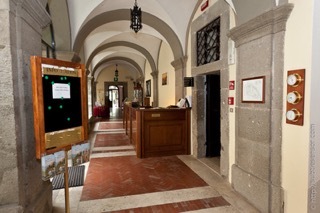 The buildings continue to be restored and refurbished, much of the internal and external work in recent years being generously funded by Urs and Francesca Schwarzenbach. Thus after more than 400 years the oldest English institution abroad is well set to continue to fulfil its mission of training able men to serve as priests in England and Wales. Available from good bookshops and from the College.